As the Senate has quietly been toying with the House’s proposed replacement for the Affordable Care Act, a new study, from researchers at Harvard Medical School and the University of British Columbia, found evidence that single-payer systems may lead to lower pharmaceutical prices. Could that data impact U.S. health care reform? U.S. drug prices are so high that the researchers didn’t even factor them into the study, focusing instead on other developed countries. It’s common knowledge that drug prices have been on the steady rise, increasing faster than average wages; at issue is how to push prices back down, or at least slow their escalation. Examining the roots of high drug expenditures in 10 wealthy countries with universal health care, the study, published last week in the Canadian Medical Association Journal, discovered lower average drug prices in the nations with single-payer systems, which appeared to be better able to negotiate drug prices with pharmaceutical manufacturers. Using drug price and expenditure data for 2015, the researchers established that the 10 countries with universal health care systems examined in the study — New Zealand, the United Kingdom, Canada, France, Germany, Switzerland, the Netherlands, Norway, Sweden and Australia — exhibited relatively little variation in volume of drug price purchases, with a difference as large as 41 percent. But the disparities in drug prices told a different story, with the two ends of the spectrum differing by 600 percent. For example, the average price of drug treatment per capita, per day, in New Zealand, which has a single-payer system, stood at just $23, or a third of those of the nine others. Norway, Australia, Sweden and the U.K., the other countries categorized in the study as single-payer, exhibited average daily per-capita drug expenditures of $59, $91, $56 and $81, respectively. Switzerland, which has a multi-payer, social insurance-based system, had an average per-diem treatment cost of $171, twice as high as the other nine nations. Its fellow multi-payer countries examined in the study — France, Germany and the Netherlands — paid, per capita, on average, $106, $97 and $49, respectively, per day on drug treatments. Canadians, whose health care system the study described as “mixed,” purchased roughly the same volume of drugs as citizens of the other nine countries, but would’ve collectively saved $1.7 billion if their drug prices were comparable to those of the nine other countries, the study noted. Although Morgan acknowledged that establishing causation — namely, that a single-payer system leads to lower prices — would be difficult for any study of national systems of health care coverage, especially with such a small sample size, comparing nations with a roughly similar ability to pay for insurance made the results more compelling. “I think when you’re doing a study like this, you have to be careful in not choosing countries with very different incomes and social structures,” he said, stressing that high-income countries are best equipped to control health care costs. The single-payer system, in which the government uses tax revenues to fund state-determined coverage of residents’ health care costs, has long been labeled by critics as a harbinger of higher costs, both administrative and in terms of coverage, and bureaucratic waste. 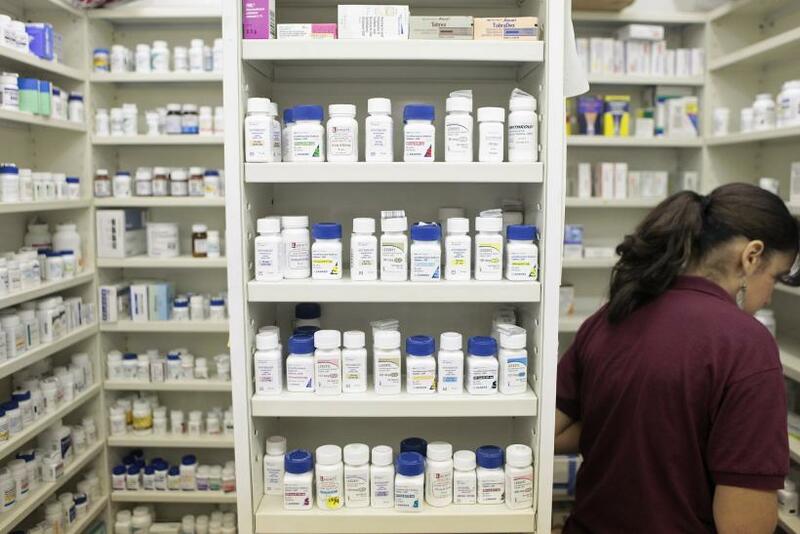 But the likely reasons for the rapid rise of drug prices are numerous, at least in the U.S., where drug lobbyists, pharmacists, pharmacy benefit managers and makers of both brand-name and generic drugs are waging a behind-the-scenes war over rising costs. Pharmacy benefit managers, or PBMs, have recently received negative attention over their alleged collusion with insurers to force pharmacies to boost the price of often lower-priced, generic drugs charged to consumers, only to pocket the difference between the inflated price and the wholesale cost and impose gag orders to keep the pharmacists from advising consumers of lower-cost alternatives. The insurance giants UnitedHealth Group Inc. and Cigna Corp., along with their PBMs, have both faced class-action lawsuits over the practice.